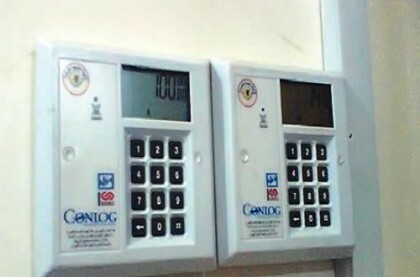 The Association of Nigeria Electricity Distributors (ANED) has assured the non-Maximum Demand (MD) customers or residential customers that it is intensifying plans to provide meters to eradicate the challenge of estimated billing. The Chief Executive Officer of ANED, Mr Azu Obiaya, in a statement on Sunday in Abuja, said that the DisCos metering target was in line with the performance agreement entered into with the Bureau of Public Enterprises (BPE). Obiaya also said that the estimated bill methodology for unmetered power users was stopped for Maximum Demand (MD) customers. He said that residential customers that were yet to be metered would continue to be receive estimated bills, adding that metering would soon be achieved for all residential customers. “We are working diligently to address the metering obligations specified under our Performance Agreements with the BPE. According to him, the DisCos remained sensitive and responsive to the unintentional challenges of estimated billing that residential or non-MD customers were faced with. “It is critically important that we state that there is no more interested party in the comprehensive metering of our electricity consumers than the DisCos. “It is our hope and expectation that such metering will be achieved sooner rather than later,” Obiaya said. The NERC directive only applies to MD customers and not residential customers, adding that NERC had made the clarification which was available on their website. Meanwhile, investigation by the News Agency of Nigeria (NAN) in some parts of the FCT revealed that some of the MD customers were yet to be metered, while a significant number of them had been metered by the DisCos in the FCT franchise area. Some of the customers who are yet to be metered told NAN that they would comply fully with NERC directive on non-payment of their electricity bill on estimation. According to Mr Peter Okon, a trader in Powa Plaza shopping centre in Nyanya area of FCT, he pays between N5,000 and N7,000 monthly as estimated bills. Mrs Rita Okonofuwa, who is also on estimated billing in the same plaza, said she would adhere strictly to NERC’s directive of not paying on estimation until she was metered.